Hey friends,?I hope you liked my last blog on?how to make a thin crispy dosa at home. ?In this blog, I will be telling you about three different dishes whose recipes I actually combined to make an interesting new dish. These three dishes have a unique name which most of you might not have heard yet. These are?Chicken 65,?Hash Browns and?Frankie. For this, you need boneless chicken or chicken breast. 1 egg, squeeze a lemon into the mixture if you want.Mix all this well and fry deep fry the coated chicken pieces in ?oil ? till they get crispy from outside and cooked from inside. Now in a bowl take 2 tablespoons of hung curd, red 1 spoon red chilli powder and a little salt. Roast 2 dry red chillies with 1 teaspoon of cumin seeds and half a teaspoon of mustard seeds. Grind the roasted spices and add them to the curd mixture. In a pan heat two spoon oil and cook the chicken along with the curd mixture. This is a rectangular shaped crispy potato patties. It is a part of English breakfast and is usually served with meat or burger. Bite-sized hash browns are also called as tater tots. Mix all well and make a cake out of it. Keep this cake in the refrigerator for one hour again. After that take it out and cut in any shape you like. Deep fry them till you get the brown coloured hash. 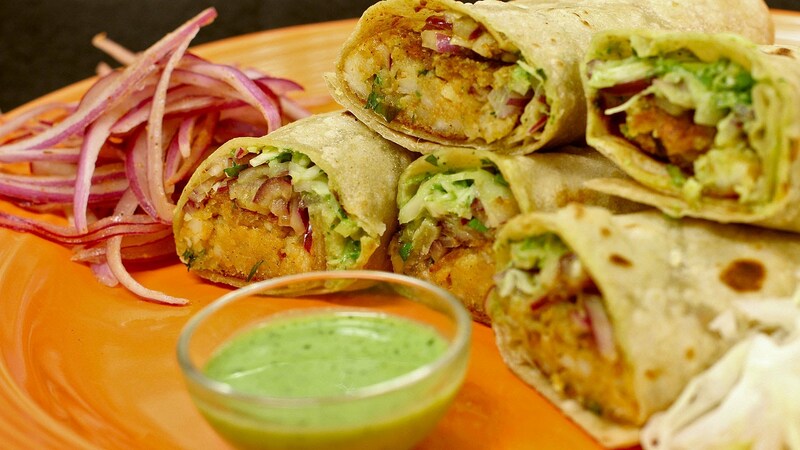 This is most commonly called as Kathi roll in India. To make a Frankie we need a tortilla or just make a roti from refined flour. There are three basic stuffing that goes into the roll. For this, you can use curd mixture or any kind of mayonnaise you like. I personally like cheese spread with a really generous amount to be spread on the Frankie wrap(roti). For salad saute some bell pepper with some sliced onions and cabbage. By sauteing I mean that you must not overcook the veggies but instead quickly toss them on high flame. This will maintain the crunch of vegetables. You can add black pepper, lemon or just leave the salad plain. 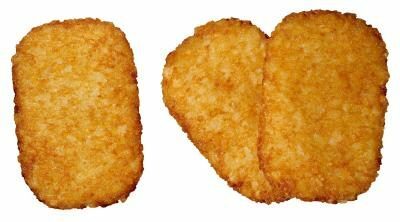 For this, you can either take chicken 65 or if you are vegetarian then just add your hash browns. If you are a big foody like me then feel free to add both the dishes into your Frankie roti. Roll the roti and then fry it crisp on a flat pan with some butter. Our chicken 65 hash brown Frankie is ready. You don’t really need a side dish with it. 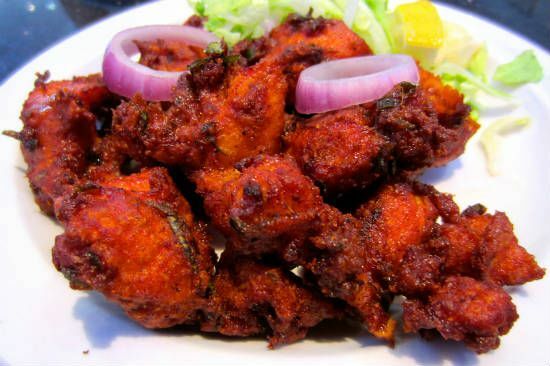 It is a very tasty takeaway food that you can enjoy while walking down to your office, just having a stroll in the park or sitting on your balcony at one rainy evening.